Live music has always been an integral part of the Tathra Hotel from as far back as 1905 when the Jellat Jellat band played on the hotel balcony to the 1980s when crowds gathered to hear bands such as Hunters and Collectors, Diesel and Icehouse play. The tradition continues with local and touring musicians playing on weekend afternoons. Tathra Pub Choir on the Anzac Day at the Tathra Hotel. All welcome to join us. This special session will be led by ANDY ZARINS. TATHRA PUB CHOIR (A community choir) is funded by a $999 grant from Bega Valley Shire Council, part of the Tathra and District Fire Recovery and Resistance grants. Organized by Anne Hamilton-Foster. Live Music with ' Nicola Hayes and Hélène Brunet ' (FRANCE) at the Tathra Hotel. 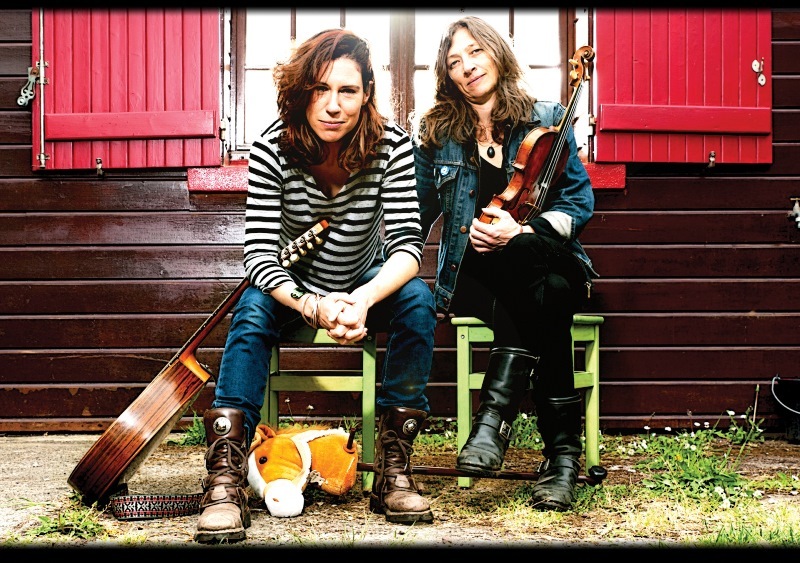 Nicola Hayes and Hélène Brunet have been making music together for more than 15 years, criss-crossing Brittany and abroad from café, to bar, to concert hall, carrying with them in their backpacks their unique blend of Irish jigs and reels, Cajun two steps, and Old-Timey breakdowns. Nicola’s own special “austral-irlando-cajun” fiddle style and Hélène’s laúd (Spanish 12-string lute) groove together to draw listeners into a world of seldom-heard traditional tunes, gleaned from master musicians, or rediscovered on old cassettes, unearthed in dusty drawers… between tunes, they delight in sharing stories about musicians, parties, love…life stories! First album, Travelling, 2011. Their second album, The Inner Indian, recorded live in Australia & Brittany, was released in 2016. Open Mic Night at the Tathra Hotel on Friday 3rd May from 6:30pm. Free admission. We welcome a comedian, poet, musician, dancer or magician!! We will normally put the Open Mic Night 1st Friday of the month. - Performances start from 6:30pm. - Maximum 12 minute performance time. - Acoustic instrument only for music. BYO guitar lead(s). - A complementary schmiddy of beer or soft for a performer. - Under 18's must be accompanied by an adult. 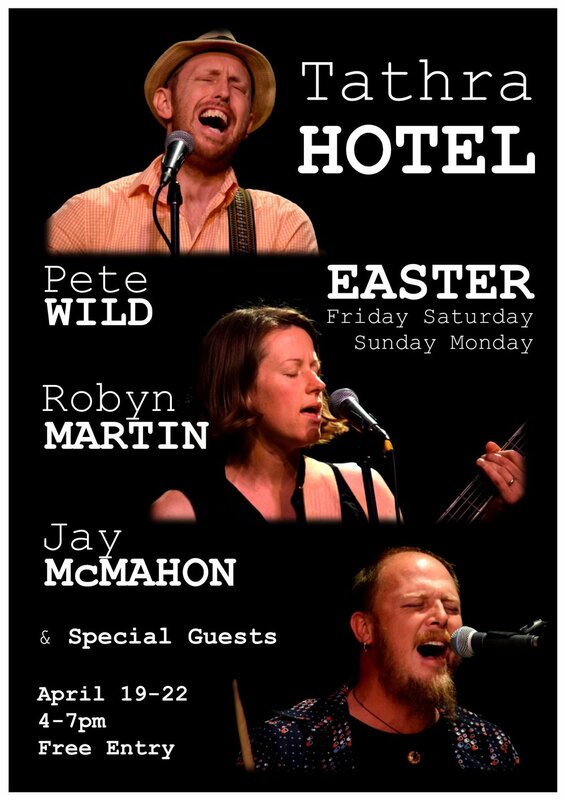 4 Day Easter Live Music with ' Pete Wild, Robyn Martin & Jay McMahon’ at the Tathra Hotel. Local music legends, Pete Wild, Robyn Martin and Jay McMahon are excited to be bringing their piano, bass, drums and harmonies to the Tathra Hotel this Easter to present a quirky array of heartfelt original songs that ricochet between folk, soul, rock and funk. Over four days they will feature a number of special guests, including Sydney’s Lou Horwood (trumpet) and Candelo’s Heath Cullen (guitar). This week session will be led by (To be confirmed). TATHRA PUB CHOIR is funded by a $999 grant from Bega Valley Shire Council, part of the Tathra and District Fire Recovery and Resistance grants. Organized by Anne Hamilton-Foster. 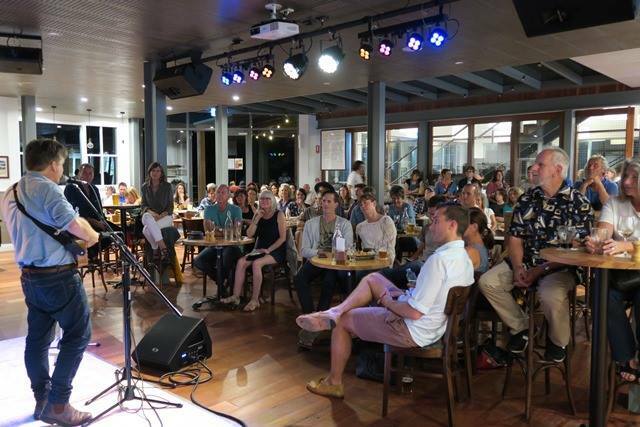 PUB CHOIR is a movement that started in Brisbane in 2017, where people of all ages and ability levels get together in a friendly relaxed environment to sing for the enjoyment and endorphins! In an hour and a half friends and strangers learn a well known pop song and perform it as a group. Based on the premise that everyone can sing, we create a non judgemental environment where mistakes are embraced as part of the process. Having a larger group makes it easier to hold harmony parts and create a great sound collectively. TATHRA PUB CHOIR will run weekly on Thursdays 6:00pm - 7:30pm. Like the Facebook page @Tathra Pub Choir!! 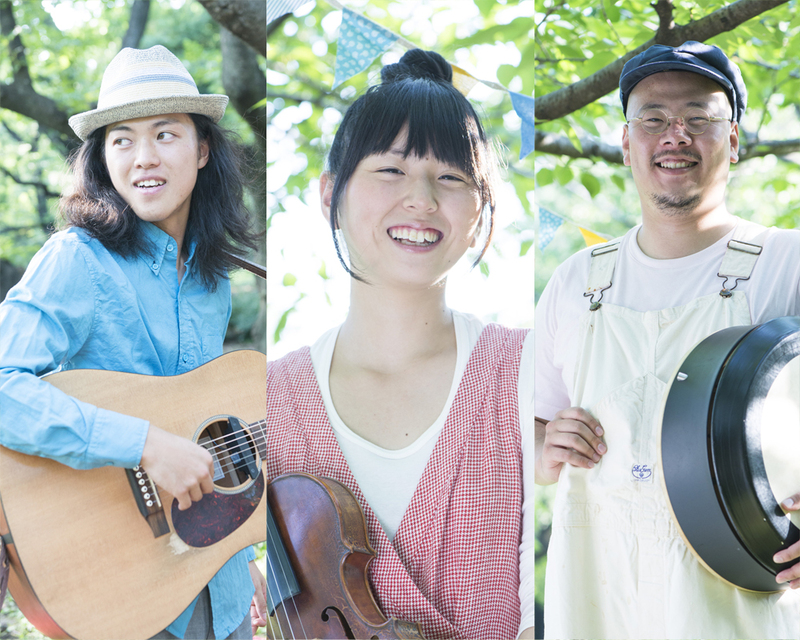 Live Music with ' John John Festival ' ( Japan ) at the Tathra Hotel. John John Festival played at the hotel last year January. Don’t miss this chance to see their shows. Three piece Japanese Celtic music band.- Fiddle/Vocals, Guitar/Vocals, and Bodhran & Tajibourine-light (Original Tambourine) -John John Festival is fast becoming the most popular Irish / Celtic band in Japan. With rhythm, melody and emotion in a genuine groove their mutual ease and “The music makes the audience and players both happy” is their musical mind set. Their story began Jan 2010. And in the short time since they have released 4 albums, joined 3 other musicians' albums, many Japanese music Festivals, also overseas festivals too. 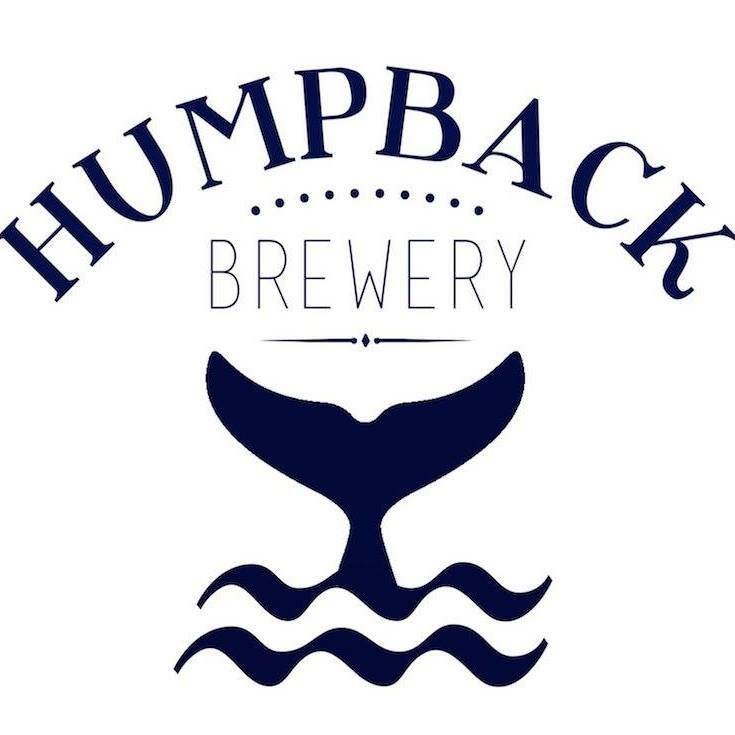 The supporting band is ‘The Hops’ - a local Bega Valley outfit comprising of well known fireside jammers Brooke Marshall (Guitar/vocals) and Kass Fenton (Flute), and regular cafe and hotel performers Noel Whittem (Guitar/vocals) and Damian Picone (Bass/vocals). They have come together to perform a mix of original songs written individually by Noel and Brooke, and an eclectic mix of cover songs. Live Music with ' Susan O’Neill ' (IRELAND) supported by Mike Martin at the Tathra Hotel. Susan O’Neill is back again at the Tathra Hotel. She did her live show a year ago - when the hotel re-opened just after the Tathra Bush Fire. Susan O’Neill, aka SON - Original singer songwriter from Ireland. Also sings with Propeller Palms and King Kong Company. Her solo performances are literally mind-blowing. The amazing range of her gritty vocal combined with her superb guitar technique, her loop pedals and trumpet, make for a truly unforgettable musical experience. Open Mic Night at the Tathra Hotel on Friday 5th April from 6:30pm. Free admission. Live Music with ' Lou Bradley ' at the Tathra Hotel on Sun 31st March 4:30 -7:30pm. I am the artist, singer song writer Lou Bradley. I am a girl, in case the name threw you. I was born in Avalon Sydney, Australia and moved to the hills of Mullumbimby on the far north coast of NSW in 2000 after my sister passed and a I realized that life is too short to not follow your dreams. I have played music forever. When i was four years old, singing Marcia Hines songs into a cigarette lighter to a bunch of drunk English men on a train. I left home when i was 15. I moved to Redfern Sydney with my fellow band members at the time and we played in pubs all over Sydney. In those days I learned how to be a band mamber, groupie, booking agent and band manager! I sat in and had meetings with record comapnies. from the age of 18. Live Music with ' Michael Menager Trio ' at the Tathra Hotel on Sat 30th March 4:30 -7:30pm. Free admission. Live Music with ' Malumba' at the Tathra Hotel on Sat 23rd and Sun 24th March 4:30 - 7:30pm. Malumba are based on the far south coast of New South Wales, Australia. The group plays original instrumental music that weaves together the sounds of many cultures and styles. Drawing from influences as diverse as Celtic, Flamencan, African, Middle Eastern, Caribbean, and Latin, Malumba's music is as varied as the Australian multiculture. Since forming in 1998, Malumba have independently released 4 full length albums, Where Many Paths Meet, Interwoven, Patterns of Change, and The Flow. Exhibition runs until 29 April. It just takes time.......an exhibition exploring the theme of regeneration and recovery after the 2018 Tathra bushfire. 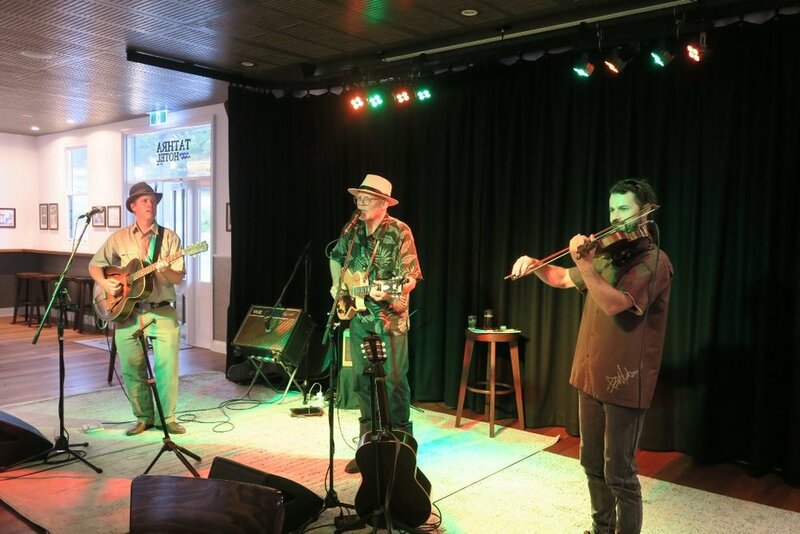 Live Music with ' The Water Runners ' at the Tathra Hotel on Sat 16th and Sun 17th March 4:30 - 7:30pm. The Water Runners hail from around Kiama, NSW and blend great harmonies, witty stage banter and quality musicianship to deliver an entertaining show of Bluegrass-infused contemporary Australian folk. They have played at venues, events and festivals, and wowed audiences from the Illawarra, to the Shoalhaven, Sydney, the Snowy and beyond with their high energy performances. A mix of both experienced and talented young players, they combine banjo, mandolin, fiddle, double-bass and percussion with powerful vocals in songs about love, loss and local legends. The Water Runners draw on a diverse range of influences from traditional bluegrass artists like Bill Monroe to modern bluegrass and folk artists like Lindsay Lou, Mustered Courage, The Starboard Cannons, The Morrisons and Paul Kelly, with a little bit of country and rockabilly thrown in. 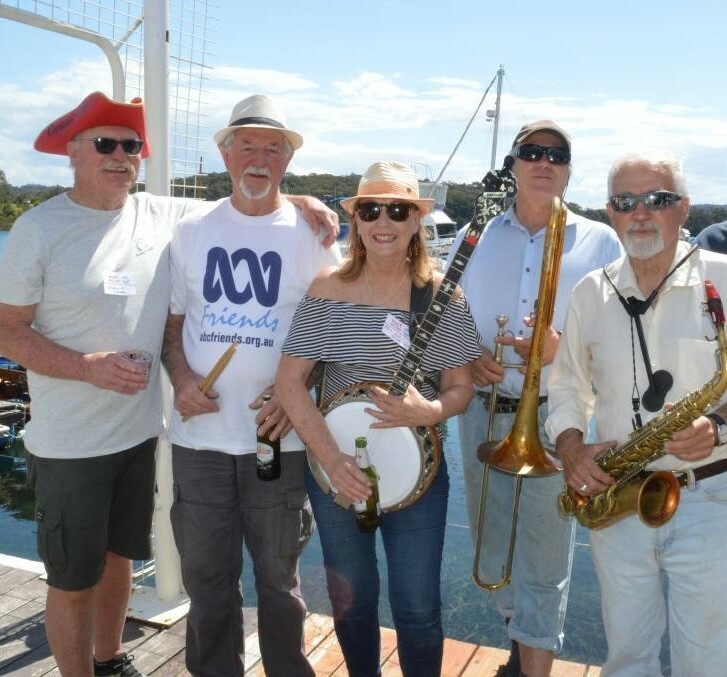 In 2018, the Water Runners were awarded a Kiama Council Community Cultural Grant which has been used to record their second album of original music, ‘Point of No Return’, to be released in 2019. 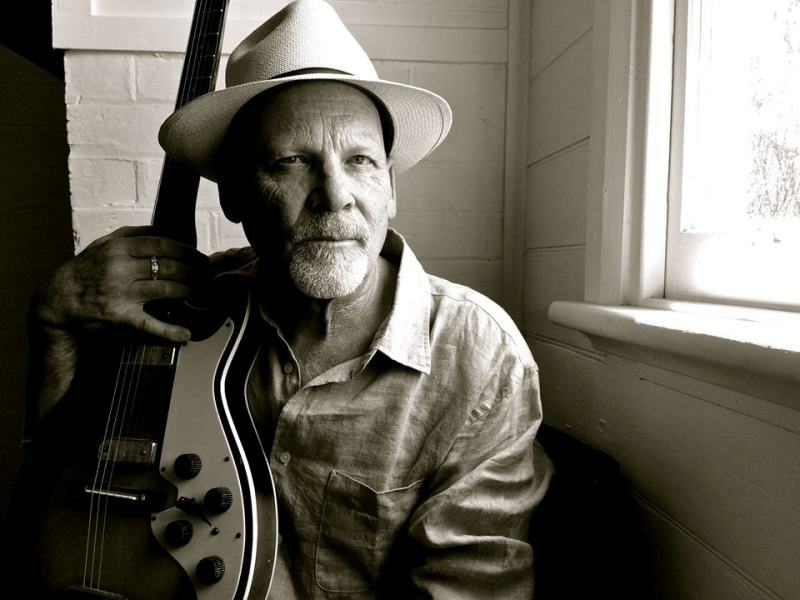 Live Music with ' Richard Gilewitz ' (USA) at the Tathra Hotel on Sat 9th and Sun 10th March 4:30 - 7:30pm. Free admission. In addition to his concert performances, his GillaCamp Guitar and Ukulele Workshops, Meet the Artist Seminars, Clinics, and Avenues for Success educational program for schools inspire players worldwide, providing opportunities for music lovers to work on their craft and young players to learn fingerstyle techniques and tips of the trade. Open Mic Night at the Tathra Hotel on Friday 8th March from 6:30pm. Free admission. This week session will be led by Kristy Ellis. Live Music with ' Jazz Alley ' at the Tathra Hotel on Sun 3rd March 4:30 - 7:30pm. Jazz Alley is an amalgamation of some of the best Traditional Jazz players on the South Coast bringing together a toe tapping and driving sound. The music is from the early years of jazz when the streets of New Orleans where jumping with the sounds of hot jazz . This was a new sound in the early 1900’s which was greatly influenced by names such as Bix Beiderbecke, Louis Armstrong, Kid Ory to name a few . You are guaranteed a great afternoons entertainment with this band as they keep the Jazz Tradition alive and well for 2019. 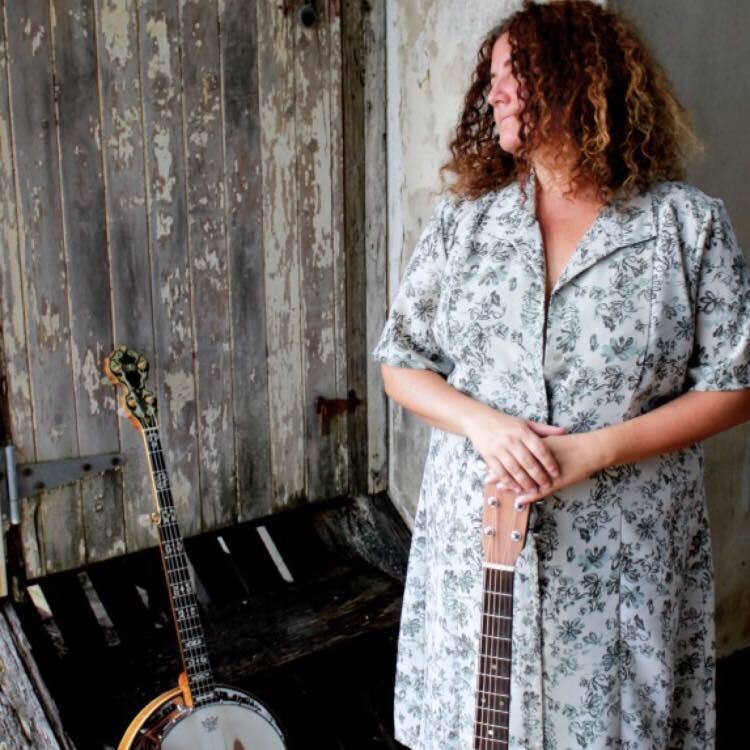 Live Music with ' Fiona Boyes ' at the Tathra Hotel on Sat 2nd March 4:30 - 7:30pm. Fiona is Australia’s most acclaimed international Blues guitarist, vocalist, and songwriter. A six times USA Blues Music Awards finalist, winner of the 2003 International Blues Challenge (Memphis), 2017 USA Blues Blast Female Artist of the Year, Fiona has just released her 16th album “Voodoo in the Shadows”, which is currently #3 on the US Living Blues Charts. Constantly touring, Fiona divides her time between Australia, Nth America and Europe. Her home-away-from-home is Portland, Oregon, as she follows the festival seasons in both hemispheres. When she is back in Australia, Fiona lives on the Clarence River in northern NSW, with her husband Steve (aka The Preacher), a social activist and Anglican priest, and between them they share the joys of five children and nine grandchildren. This week session will be led by Sam Martin. Sat 23rd and Sun 24th Feb. 4:30 - 7:30pm. Hot Western Swing trio from Texas, The Western Flyers, return to Australia after their success at the 2018 National Folk Festival, for a whirlwind tour that includes the Cobargo Folk Festival, and kicks off with three nights at the Tathra Hotel! The Western Flyers are one of the most exciting bands to glide on to the music scene in years! Their unique sound is a cross section of the Great American Songbook: classic western swing, hot jazz & swing standards, vintage country & cowboy songs, and electrifying old-time fiddle tunes. Dubbed "The Biggest Little Band in the Land", the trio features archtop guitar-slinger Joey McKenzie, who brings his dynamic rhythm guitar style and smooth vocals to the band, along with Katie Glassman, 3-time National Swing Fiddle Champion and vintage-style singer extraordinaire, plus legendary double bass-player, Cary Black. This week session will be led by Damon Davies. See the Facebook page @Tathra Pub Choir. Live Music with ' Rufino & The Coconuts ' at the Tathra Hotel on Sat 16th and Sun 17th Feb. 4:30 - 7:30pm. Free admission. Rufino, violinist and specialist crooner, renowned for his work with Mikelangelo and the Black Sea Gentlemen, brings his sensational solo show Rufino and the Coconuts to the Tathra Hotel with a full 8 piece band to shake your very bones. Rufino the Catalan Casanova has set sail on an incredible solo voyage. Troubled winds, a mutinous crew and a wrecked boat have thrown him on a new and treacherous course into the dark heart of the Caribbean! There - by chance or destiny? - he has found a new band of castaways, troubled geniuses and misfits in the fertile rhythm-rich jungles of the Tropics - forming Rufino and The Coconuts! The Coconuts provide a brooding backbeat to Rufino’s Euro-melodic stylings and the result is part Afro-Latin Tumbele, part Jamaican Rocksteady, part island holiday sleaze-pop – all wrapped up in a wild Voodoo ritual! This week session will be led by Kate Burke from Candelo. Live Music with ' Jazz Alley ' at the Tathra Hotel on Sun 10th February 4:30 - 7:30pm. PUB CHOIR comes to Tathra!! 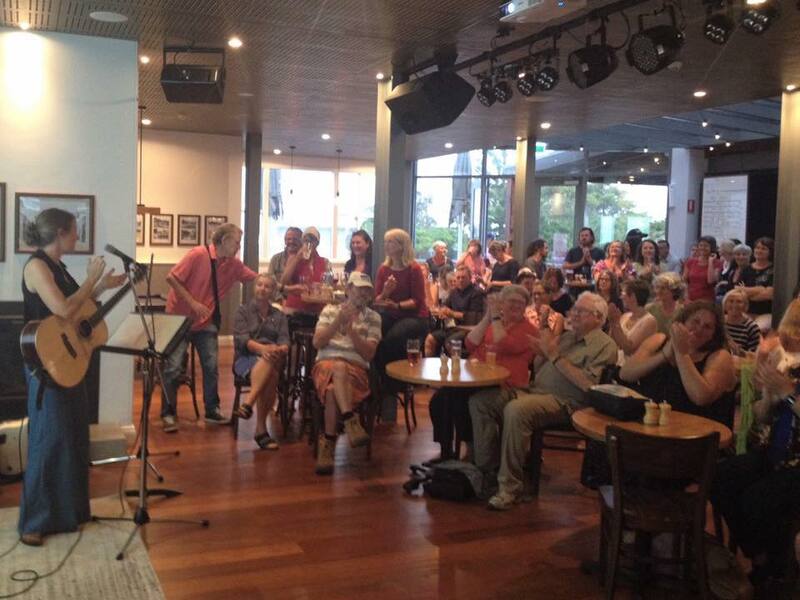 TATHRA PUB CHOIR will run fortnightly on Thursdays 6-7:30pm starting this coming Thursday 7th Feb. The first session will be led by Robyn Martin. Live Music with ' Tim Scanlan ' at the Tathra Hotel on Sat 2nd and Sun 3rd Feb. 4:30 - 7:30pm. Tim Scanlan from Melbourne/Japan will be back to the Tathra Hotel to play for the weekend. Mixing old world melodies with modern beats and sounds, this world traveling one man band brings harmonica, guitar and foot percussion into a new dimension. Music explores Celtic, Reggae, Balkan, Quebecois and other styles, all surrounded by improvised shenanigans sure to make any dancer happy. Live Music ' Local Musician Variety Afternoon' at the Tathra Hotel. We finish off our month of music with a variety afternoon put on by our talented LOCAL MUSICIANS, including David Ross Macdonald, Melanie Horsnell, Sam Martin, Pete Wild, Kate Burke and whoever else turns up! 7 days of Music with ' Gemma Glendenning ' at the Tathra Hotel from Mon. 21st to Sun. 27th January 4:30pm - 7:30pm. Gemma is back again this year to the Tathra Hotel! Come and see her! Gemma Glendenning from Central Coast is a singer songwriter, and accomplished vocalist who has performed consistently in Sydney and overseas up to six nights a week for over 15 years. She is a versatile singer and guitarist with an extensive repertoire. Gemma's vocals are reminiscent of so many female singer songwriters influenced by the folk country movement with hints of Suzanne Vega, Lucinda Williams, Bonnie Raitt and Australia's own Lisa Miller.